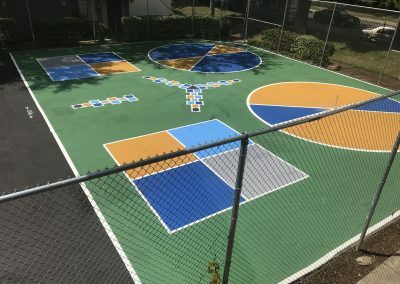 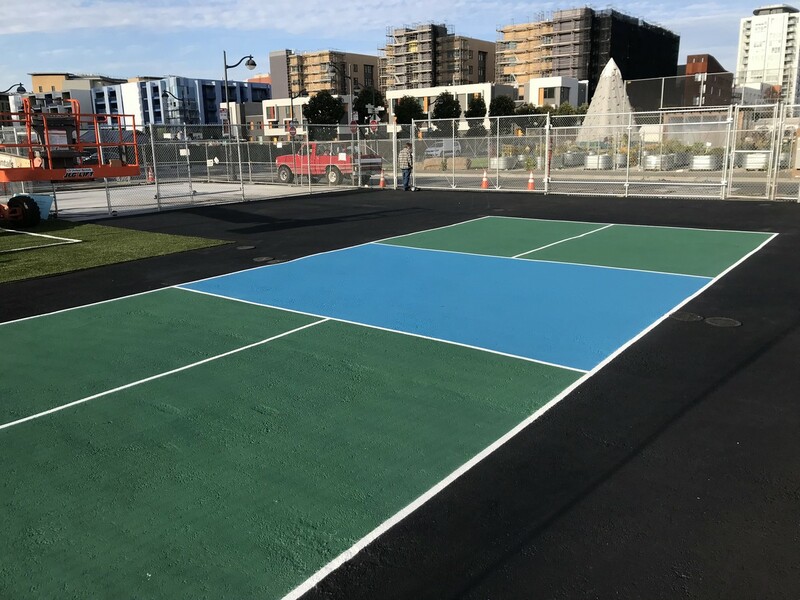 Stripe-A-Lot offers a wide variety of school playground striping, circle game, and game court striping and marking services. 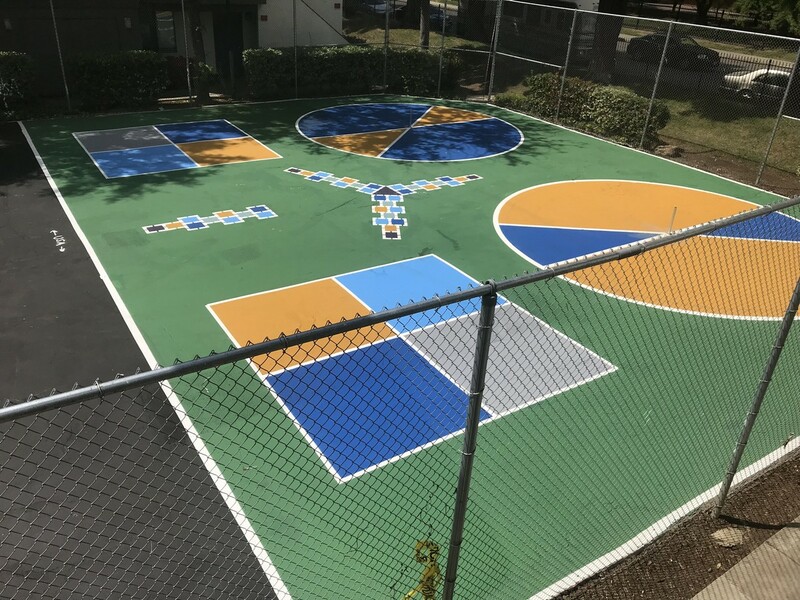 If you are looking for a company to stripe or re-stripe a playground, basketball courts, circle games, hop scotch, four square, track & field, call us first. 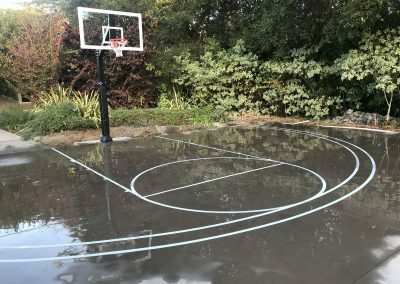 We have completed various playground marking work for public and private schools, churches, public parks, and even backyard basketball courts and sport court striping. In addition to playground markings for schools, we also do athletic field striping for football, soccer, and more. 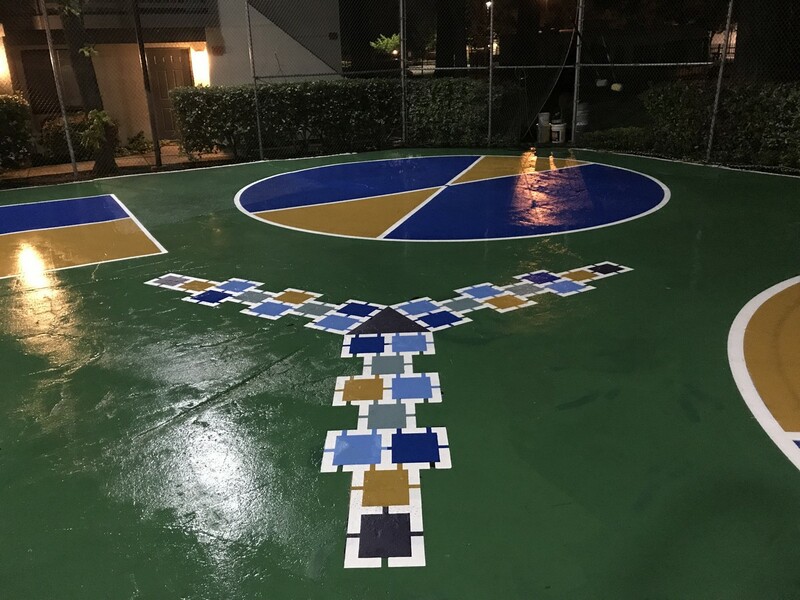 Our equipment is set up to achieve mechanical compass radius circles that others may do free hand. 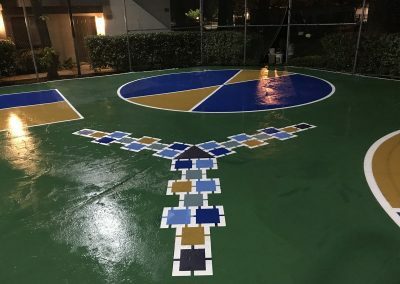 We have also done an array of custom work, which we are proud to display in the gallery below. 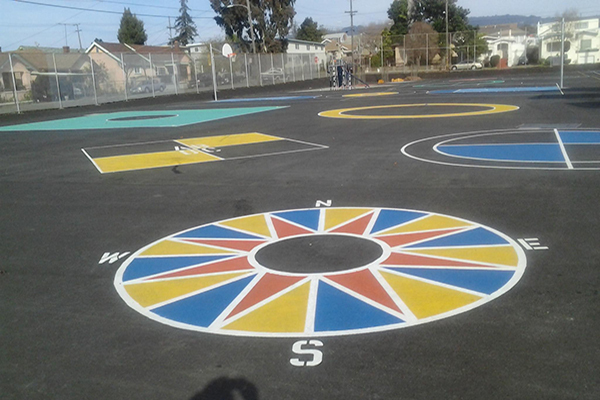 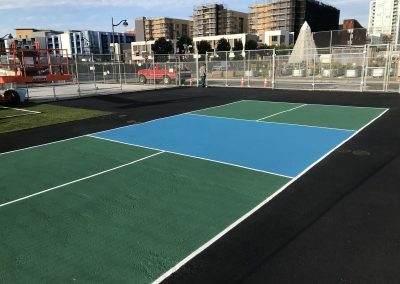 Stripe-A-Lot is your Bay Area source for high-quality playground & court striping. 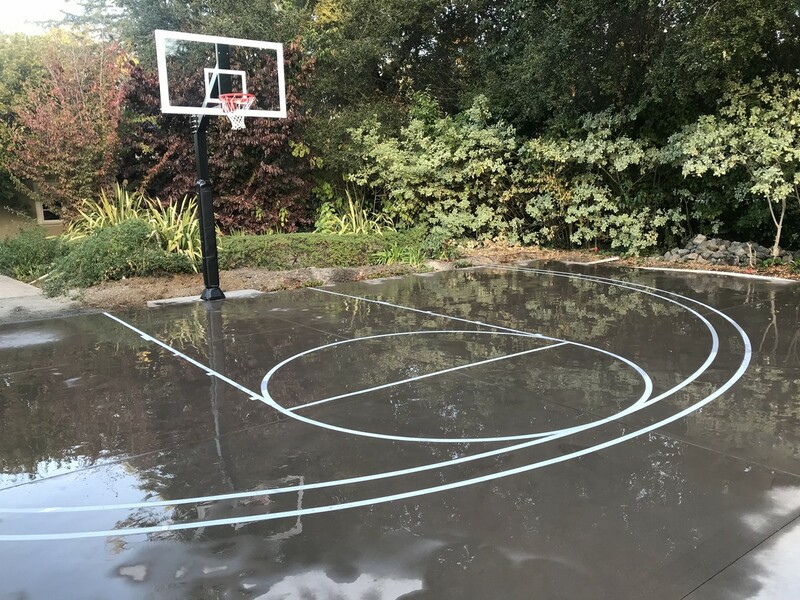 Please call 925.250.8920 or contact us today to learn more.